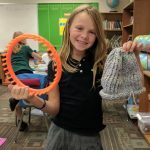 The fourth graders have once again embarked on their knitting journey. 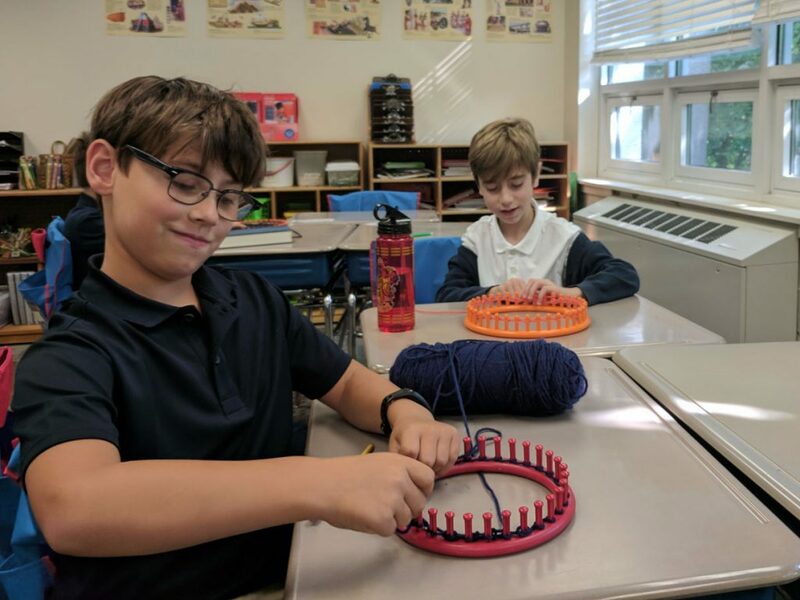 Every year the fourth grade class learns how to knit hats and scarves using looms. 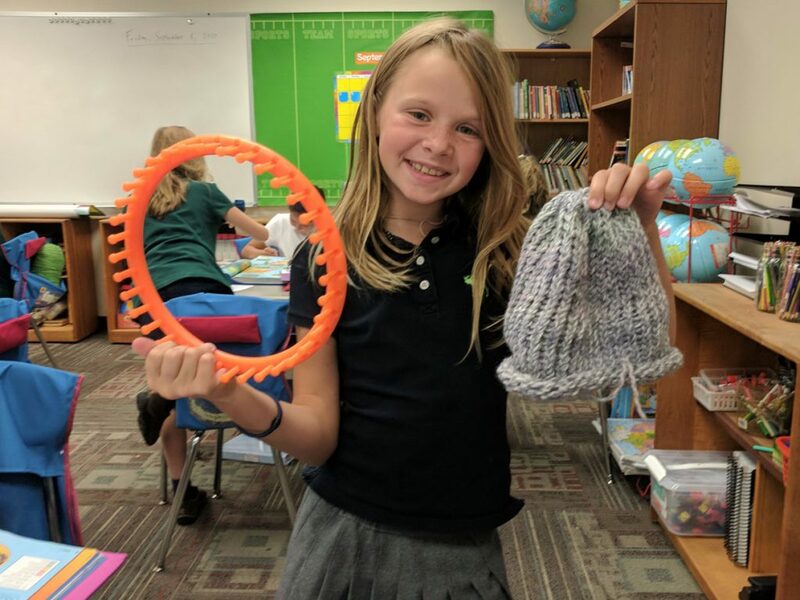 The finished products are then donated to Mercy Learning Center when the weather starts to get cold. 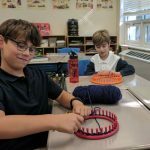 Knitting is a mindful practice, helping to alleviate some of the stress from busy days; and it’s fun too!